By their very definition, whether large or small, remote or nearby, islands are separate. Although obvious, this fact is hugely significant in terms of its implications on evolution and biodiversity. Given enough time, the effects of isolation and separation on nature can be massive, resulting in fascinating adaptations, endemic species and unique ecosystems. Today we look at some of the more unknown of these secluded pockets and explore their natural wonders. About: Known as the Ogasawara Group in Japan, the Bonin Islands were declared a UNESCO World Natural Heritage site in 2011 recognizing them as having passed through a unique evolutionary process, having never been connected to the mainland. This, like Mona Island below, has earned the group comparisons to the famous islands of Ecuador, and is often called the "Galápagos of the Orient." The majority of the group is uninhabited, with around 3,000 people living on two of the islands. A 1968 Godzilla film, "Destroy All Monsters," was set on the chain of islands. Endemic Species: It is thought that around 43 percent of the islands 500 native plant species are endemic to the islands. Unique animal species include the critically endangered Bonin flying fox, about 30 percent of the islands insects, and an astonishing 90 percent of its land snails. Although not the most exciting list of creatures, the islands represent a truly outstanding example of a range of evolutionary processes. Where: The third largest island of the archipelago comprising Puerto Rico, Mona Island sits in the Mona Pass, between Puerto Rico's main island and the Dominican Republic. It is 41 miles west of Puerto Rico and measures approximately seven miles by four miles. About: This beautiful unspoiled island has been called the "Galápagos of the Caribbean" due to its range of endemic species and unique landscape. It was discovered by Columbus in 1493 on his second voyage to the New World, although it is thought that the island has been inhabited by indigenous groups since as far back as 3,000 BC. It is uninhabited, but plays host to many scientists researching the island's flora and fauna. It is a designated natural reserve. 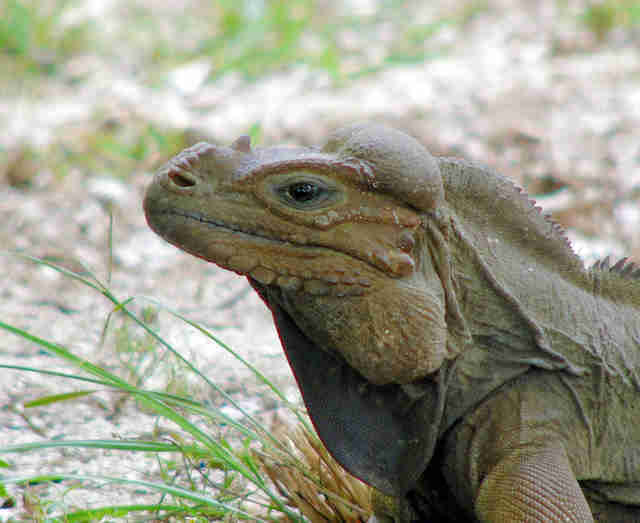 Endemic Species: The island is most famous endemic species is the Mona iguana, a subspecies of the rhinoceros iguana. These animals play an important role on the island as its largest native herbivore, dispersing seeds and helping to maintain a balanced ecosystem. Seeds have been found to germinate faster having passed through the Mona iguana's digestive system. It is easily recognisable due to its large protruding scales around its face, with a single horn-like scale on its snout. The can grow more than over 2.5 feet in length. Where: Mount Roraima is somewhat different to the other islands on this list. It is found in the Guiana Shield in South America, and is part of a series of tepuis, or tabletop mountains which are thought to some of the oldest geological formations on earth. About: Mount Roraima is the highest of these protruding masses, rising about 2,710 meters (approx. 8,900 feet) and surrounded on all sides by sheer cliffs. It was first described by English explorer Sir Walter Raleigh. The surface area of the mountain stretches approximately 31 kilometers (approx. 19 miles). The triple border of Brazil, Venezuela and Guyana is also located on its surface. 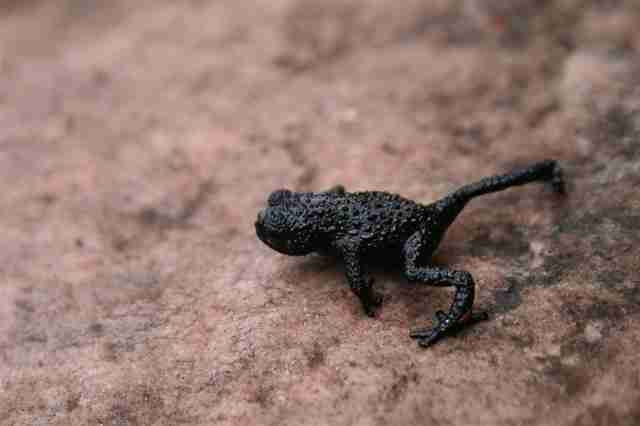 Endemic Species: Many of the animal and plant species found here are unique to the mountain, including the amazing pebble toad, which rolls instead of jumping. Other species include a type of carnivorous pitcher plant which catches insects in its modified tubular leaf. About: Once part of the mainland, the island is thought to have separated approximately 9,000 years ago. The island is largely uninhabited and remains in pristine condition. Endemic Species: Despite its relatively recent separation from the mainland 9,000 years ago, various species show clear differences to their mainland counterparts. In addition, the island is home to two completely endemic mammal species: the fruit bat, Artibeus incomitatus, and the fascinating Bradypus pygmaeus, or pygmy three-toed sloth. Due to their endemic nature to such a small island, both are considered critically endangered. 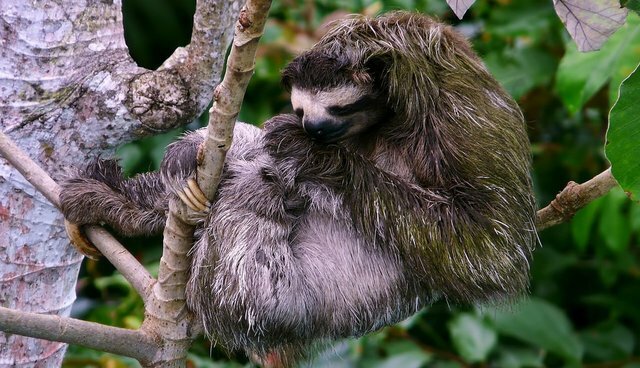 The pygmy three-toed sloth is thought to have evolved through insular dwarfism, as a result of isolation of individuals from the mainland species. Watch the amazing video above!